Since 1998 Little Hoppers has been the premier preschool gymnastics program in the Livingston Parish area!! Thousands of families will attest that their Little Hopper education has developed “happy, healthy, responsible children” into a generation of “happy, healthy, responsible adults”! 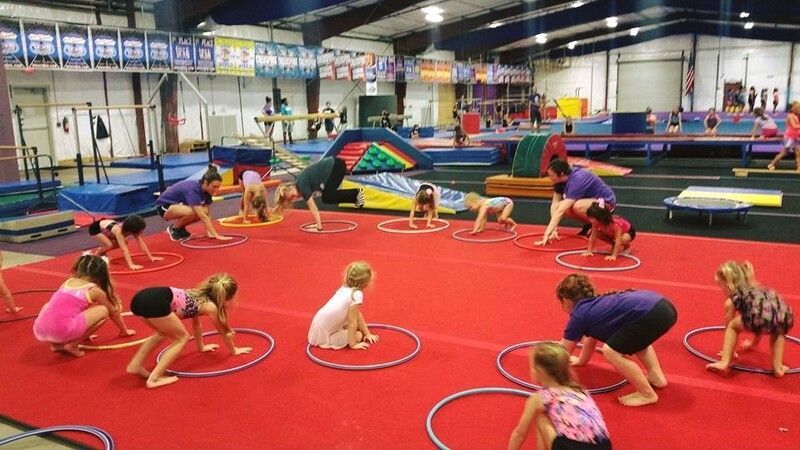 Little Hoppers is so much more than a gymnastics program for preschoolers. Our emphasis is not on being the fastest, the strongest or the best. Instead, it is on the excitement of learning. We believe that every child wants to learn, and when we find that delicate balance between learning and play, children are inspired! With just the right amount of success and challenge, your child will discover that hard work is rewarding and that learning is fun. We divide our Little Hoppers Program into several age groups. At these tender ages, we believe these divisions are necessary in order to create just the right learning environment for each stage of a child’s development. Few organizations go through this trouble but we know the children feel more comfortable and learn more in our groupings. We hope you agree.